The Dog and Duck? The Bark and Quack? I just made up that last bit but wouldn't it be a great nickname? Long gone, the Dog and Duck was a well-known inn and tavern which graced Water Street in Prescott beginning in 1833. It was the heyday of such establishments, with more than 20 competing for business from the roustabouts who arrived by boat, buggy and, eventually, by train. The Dog and Duck was located on the southwest corner of Water and Edward streets; the site sloped to the St. Lawrence River and the tavern occupied two storeys set on the slope; a balcony overlooked the waterfront. There was a stable on the lower level even with the piers, and a dock where bateaux would tie up. There was a big "mouth horn" hung on the balcony used to holler at the bateaux about any luggage or passengers needing to board. How do I suddenly know so much about one of Prescott's legendary public houses? 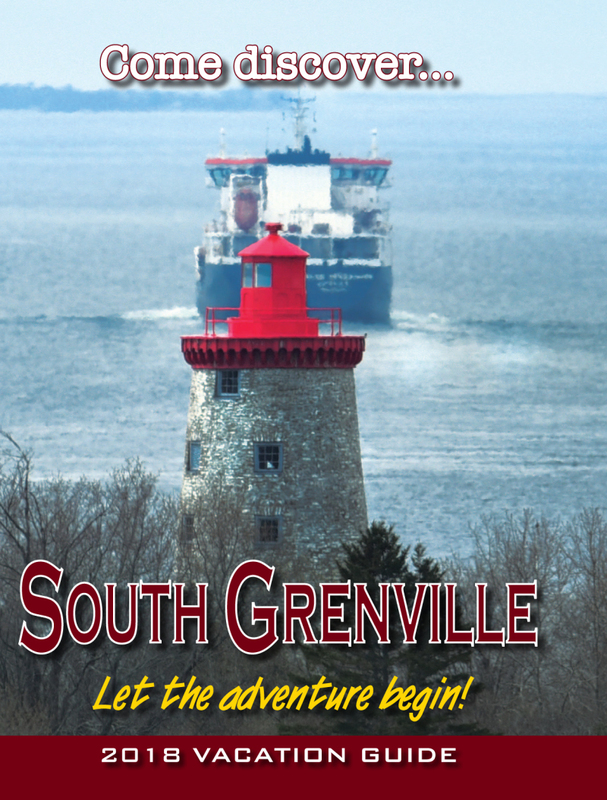 It's because I've read the latest edition of The Grenville Sentinel, newsletter of the Grenville County Historical Society, produced by Sandra Shouldice. There's an article in The Sentinel written by Arthur Robinson who came from his home in British Columbia to examine society archives while working on his family history. The archives are contained in the old railway station along the mainline where it passes through Prescott. Sadly, trains don't stop there anymore. However, people still gather at the station to conduct research and to convene the annual meeting held January 26; refreshments were served, including homemade cherry/chocolate wine, the perfect Valentine's gift. The archives just don't contain musty documents. Among items recently catalogued are a handmade quilt from Maynard, circa 1900; a wooden crate from JP Wiser and Sons; a history of the Prescott wooden nickel (say what? ); a photo of the former downtown Market Hall; and a 1945-46 gasoline ration book. According to Arthur's article, the Dog and Duck was opened by his ancestor Thomas Robinson. He was licensed to retail "wine, brandy, rum or any other spirituous liquors." The family lived on site and licenses were issued until 1866, along with periodic shop and grocer's permits. Thomas, it appears, was moderately successful and earned a reasonable living. However, Thomas and wife Rebecca's family lives were filled with sorrow, including the deaths of three children at a young age. Rebecca died in 1866, Thomas two years later; his obituary referred to him as "generous, open-hearted and appreciative." Shortly thereafter, the Dog and Duck burned to the ground creating, Arthur writes, a mystery as to its location now unearthed. In The Sentinel, Sandra Shouldice invites readers to do like Robinson and research their own families in the church, civil and cemetery records. The archive building is open Tuesdays, 10:00 a.m. - 4:00 p.m., and Monday to Friday throughout the summer; annual membership is a modest $20. Who knows... you may have a Bark and Quack in your own history!